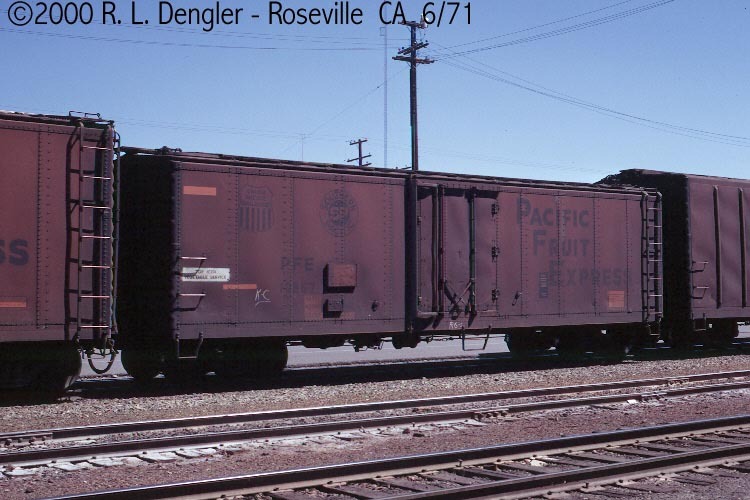 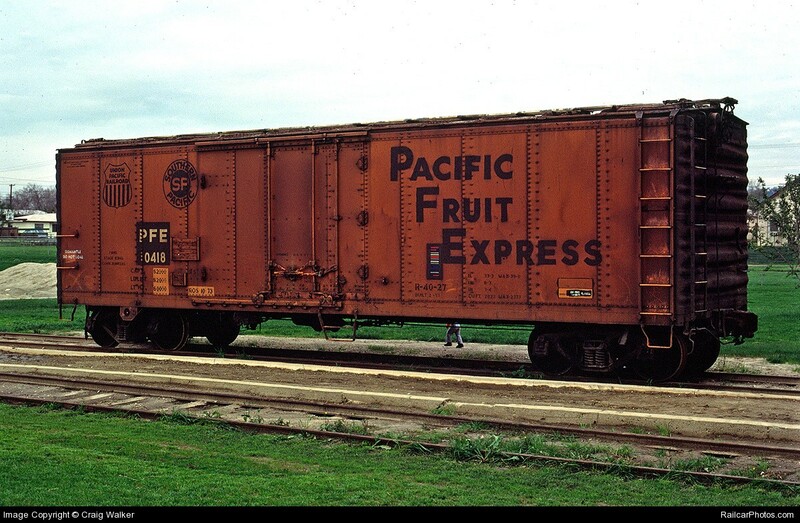 These 40' steel refrigerator cars were built by SP Equipment Company in 1957 and featured XXXX ft3 capacity, diagonal panel rooves, bar+3/3 Improved Dreadnaught ends and 4' plug + 2' hinged doors. 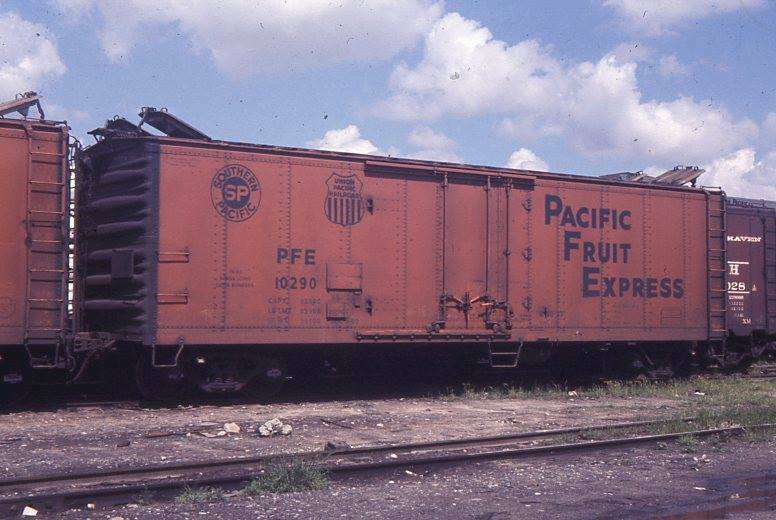 Five cars were rebuilt as mechanical refrigerators and renumbered PFE 101001-101005 in 1961. 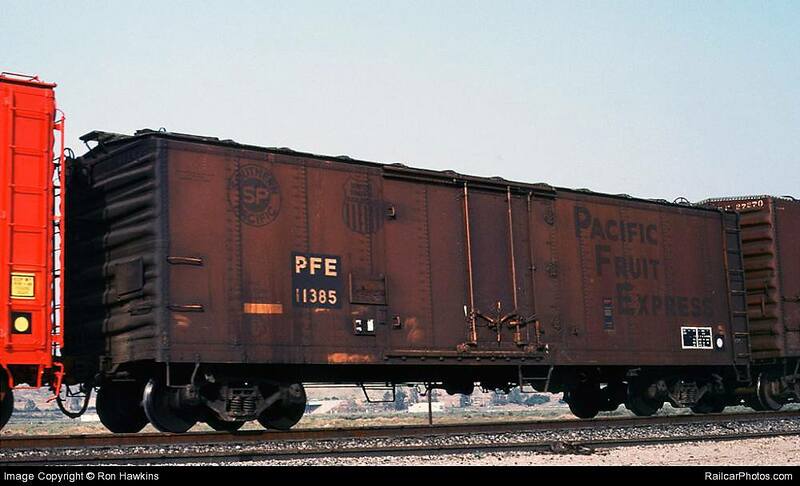 The mechanical equipment was subsequently removed in 1968 and they were re-renumbered PFE 34701-34705. 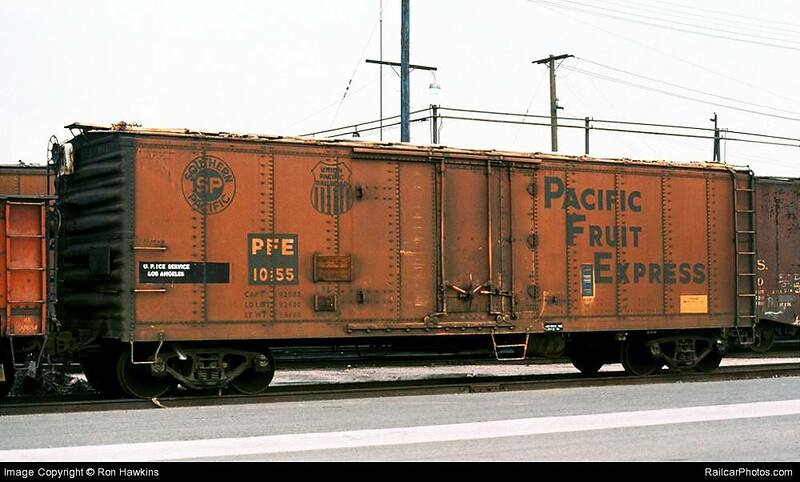 A group of 98 cars was renumbered PFE 30001-31700 for TIV service in 1971.